Unexplained animal mutilations, UFOs and alien encounters. Fodder for conspiracy theorists or fascinating fact-or-fiction inquiries? Sci-fi fans, skeptics, hard-core believers, and folks who just wonder if something’s out there hope to get some answers from Linda Moulton Howe next month at the Joshua Tree Retreat Center. Howe, an Emmy award-winning TV, radio and film producer/reporter, believes that the “human family [is] not alone in this universe,” and that she could be proved right this year. Evidence of life beyond Earth has been sought by educators, scientists, and government agencies. Global initiatives have examined whether beings or mere life forms exist where we don’t. Joshua Tree Retreat Center will host Contact in the Desert, June 3-6. Howe’s journey into the realm of alien interaction began in 1979 when she was director of special projects at KMGH-TV in Denver. Howe had produced pieces relying on science, medicine, and the environment when she became interested in reports of unexplained animal mutilations around the state. Her investigation of them involved examining forensic evidence and interviewing biologists, ranchers, veterinarians, pathologists, and law enforcement. No one could explain the phenomenon. Joshua Tree has the oldest and largest retreat center in the Western United States. Howe will be a featured guest speaker at Contact in the Desert (CITD), June 3-6, at the retreat center. She will join leading authorities in serious discussion of ufology, crop formations, astronomy, human origins … and aliens. Global experts will present their findings to the public in a series of lectures, panels, and workshops. Weekend activities include a Giant Rock Tour, a Night Vision Tour, and a birthday celebration with and for Premier Radio Network personality George Noory, whose program “Coast to Coast AM” is popular for its coverage of paranormal phenomena. Howe is on the lecture circuit, discussing human abduction and animal mutilation, and government taxonomy of alien beings. She holds workshops on symbols and binary code used in telepathy, and offers intensive scrutiny of unidentified aerial phenomena at Royal Air Force Bentwaters (Bentwaters Parks) in England. 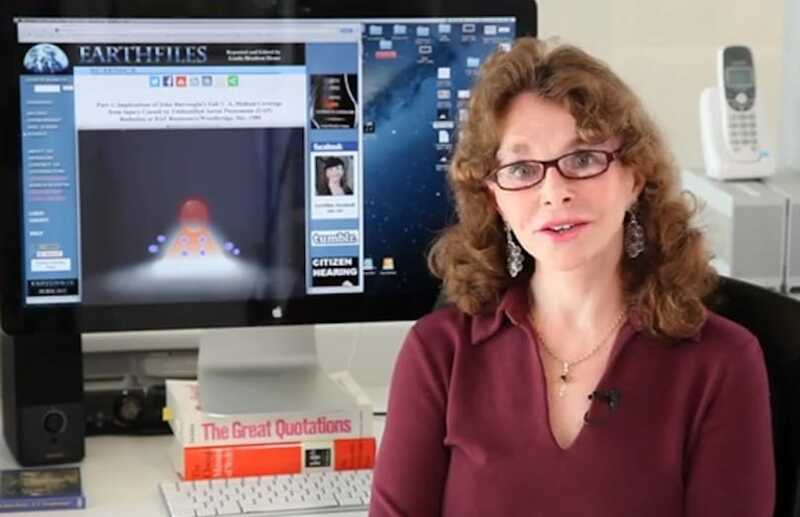 Visit www.Earthfiles.com for more information on Linda Moulton Howe’s investigations.